Fairytales come to life with these new tea party dresses based on iconic fairytale characters. Each dress is designed to be tea length and capture the essence of a magical princess. 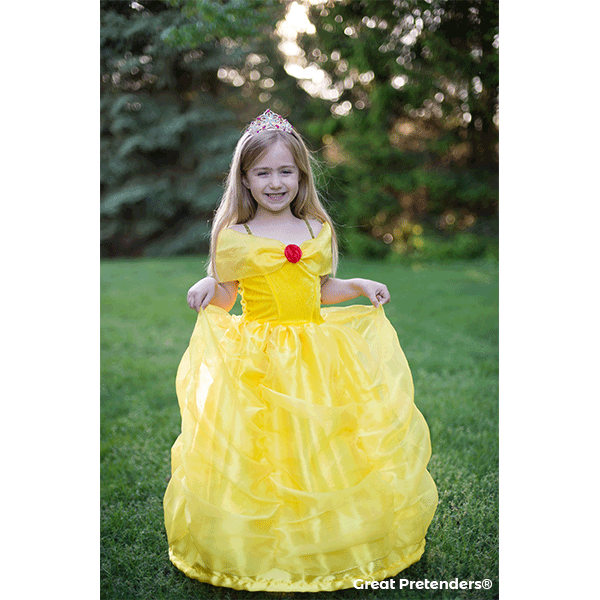 Princess Belle features off the shoulder sleeves with elastic gold straps to keep the dress in place and an elasticized waist for size flexibility. Red organza roses complete the princess look. 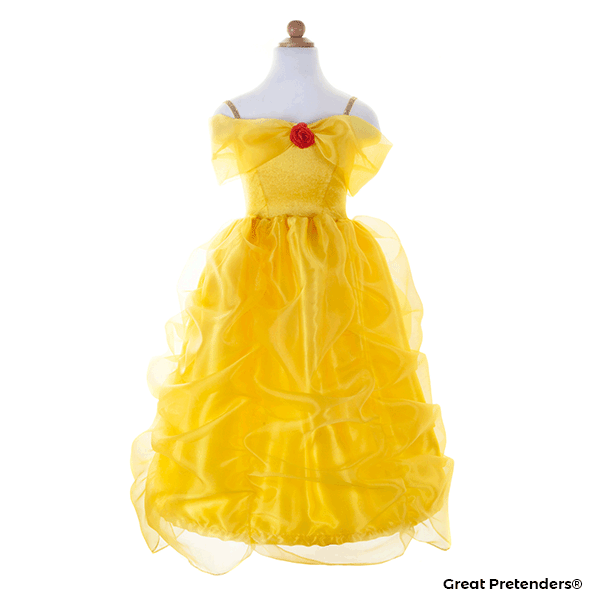 If You Liked Great Pretenders Classic Belle Gown (Size 5-6), See More Related Products Below!